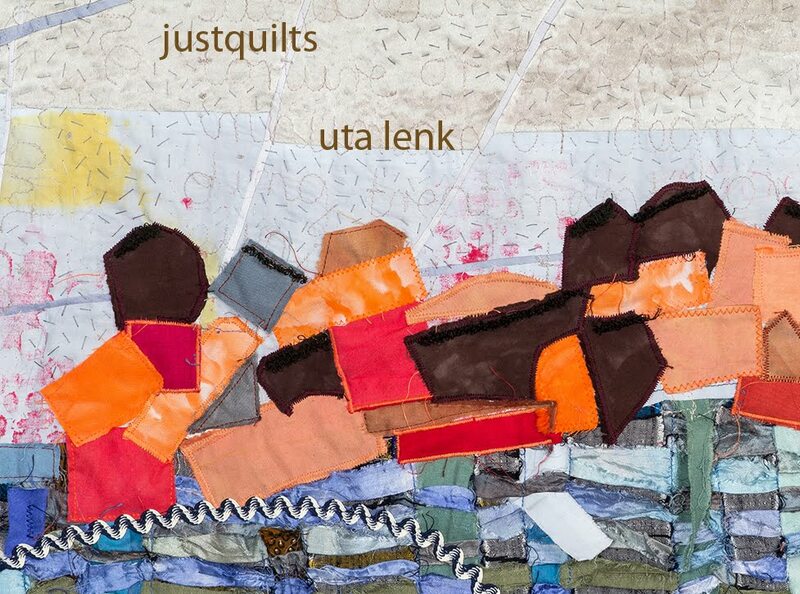 Uta Lenk - justquilts: Piecing myself back together? 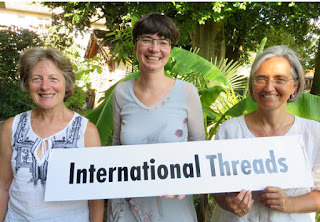 Last Monday, I picked Gillian Travis and her husband up from the station and the three of us went to Freising together, to meet with Barbara Lange, another member of our joint group International Threads. As the members of the group live pretty far apart, it is always a good occasion when at least three are somewhere in the same area, to arrange for a get-together. We had an intensive two-hour work-meeting to clarify some issues of the group, which was very helpful. After that I went back home to what I though would be a week of dyeing, longarm-quilting and stitching on my quilt for the SAQA Diaspora Show. But in fact, this past week has been taken over by issues of the refugees, and I am beginning to think it is simply getting too much. Although I really like them and want to be helpful with issues of little every-day problems, integration, and teaching some of them German, I have been a bit overwhelmed lately. A couple is having severe marriage problems which has just now led to separation – but this is really nothing I should have to deal with. Social workers, who are the ones who should be dealing with it, took the woman and 2-yr-old child away, but left the husband completely on his own, who, of course, is now entirely besides himself with grief and incomprehension. One young man, who is applying to go to computer school, is trying to get his High School Diploma acknowledged. First his letter got stuck and delayed in the recent strike of the German postal service. And now the authorities in Munich returned everything because the verified translation of the report card had a note saying “translated from photocopy” instead of “translated from verified photocopy”, and they need to have either the original or a verified copy of the report card, AND a statement from an institution of learning that he actually needs this translation now and isn’t only trying to get one for the fun of having one just in case he might need one, quickly, later. And please include postage stamps for the return mail. So I was telephoning around to get the necessary alterations on the translation, luckily my husband could take care of verifying the photocopy of the report card, and when he fills out the application form (title ‘re-entry’, as they have returned the original application form as well) we should have everything together now. Sometimes I wonder why bureaucracy ever was invented to begin with. Is this really necessary? Yesterday I had meant to do only things for my own work, and my family, except for a planned one hour German lesson with the Syrians only. I ended up minding an African baby and her six year old brother for almost two hours while the mother was looking at another possible accomodation, because right now she is living in quarters that are much too small for the three of them, and then after the German lesson I spent yet another hour attending a crisis-talk between the desolate husband and a male social worker whom, I admit, I had called in myself to get out of this. I can understand that the woman is trying to make the most of opportunities for her in this country which are different than those she would have had in her home environment, but I don’t want to be the target of the husband’s wrath, who has so far not been very eager to learn German, or integrate himself in any way. 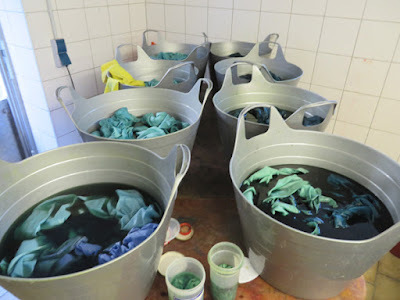 Come to think of it, though – I did manage to get four of the six colours dyed and ironed for the next fabric by yesterday evening, the last two colours are seeping in the bucket downstairs just now, and I did not even forget to do the threads. 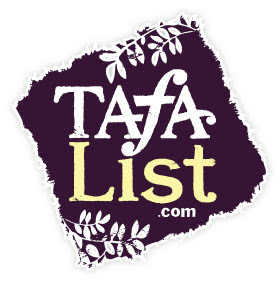 But you can see: the numbers of buckets is increasing as I have had a satisfying number of new sign-ups during the first half of the year. 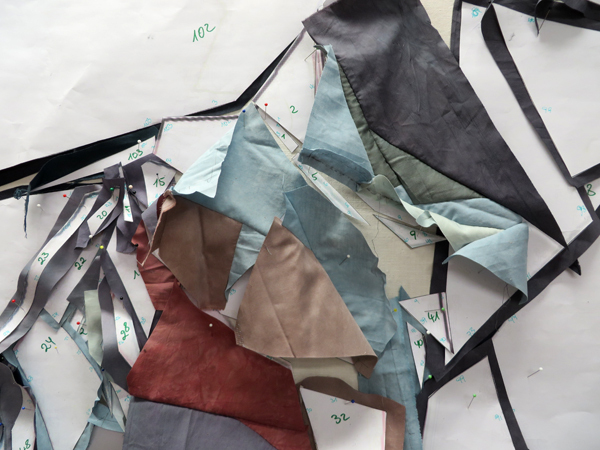 And I have indeed started (hand-)piecing the ‘migration’ quilt. Although you can't really see much of what is going on yet. It will be 'text messages', I think number 8. But I do want a bit more of my own life back for my family and myself. 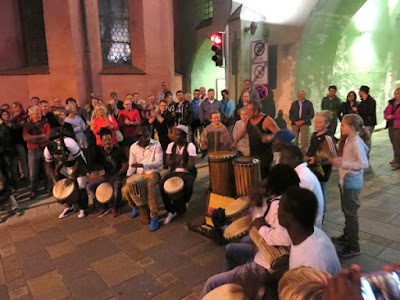 So we went to the City Square Festival yesterday evening – the African refugees have started a drumming group after we received a donation of several drumming instruments, and gave a fabulous first public appearance together with a local drummer, and some children. What an enrichment of cultural life in this town! I really admire your earnest desire to be of help. It seems to me, though, you have too much left on your plate. Do things to please you, not what you feel you should do. You did that, now maybe close some doors and please yourself. Pam - I agree. Too much on my plate. Getting to know the refugees is not something I feel I 'should do', however, but also something I want to do. I am working on balancing it all out, because at least those refugees I have been in touch with I can't just 'close the door' on until they have been approved and given asylum. Or sent back.